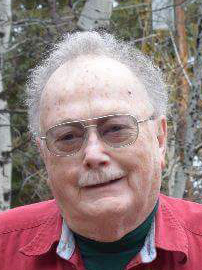 Donald LeRoy “RD” Hetherington died August 10, 2018 at home in McCall after a long bout with cancer. He was born March, 21, 1936 in Emmett, ID a year before the first hospital was built, to Jack & Ruth Hetherington. He went to school in Emmett and Hills Military Academy in Portland, OR. As a boy scout, he went on a month long train trip to Valley Forge, PA making many stops and sightseeing along the way. After school he served in the National Guard and was on the volunteer fire department in Emmett. Don married Ruth Haun in 1958. Following his family occupation, he became an electrician, working with uncles, for Boise Cascade and eventually took the name Don’s Electric in Emmett and later Hetherington Electric in Boise. His work took him to Maine and to Venezuela on service call trips to work on potato storage facilities. In 1976 he married Imajean White-Browne. They particularly enjoyed snowmobiling, boating, traveling and parties. They hosted Halloween parties for a few years and then moved on to St. Patrick’s Day corn beef and cabbage feasts. He loved remodeling and was creative in buying materials from Habitat for Humanities and making them into one of a kind finished projects. McCall was a favorite place and his cabin was his preferred place to be after retirement. Don is survived by his wife, Imajean, sons Jon, Jim (Rhonda) and Jeff Hetherington, daughter Jena (Casey) Brydson, and son Tony (Heidee) Browne, 10 grandchildren, 3 great grandchildren, and brother Dale (Krisie) Hetherington. He was predeceased by his parents. A viewing will be held Thursday, August 16th, 2018 from 3pm – 6pm at Potter Funeral Chapel in Emmett. Services will be held Friday, August 17, 2018 at 11:00 AM at Potter Funeral Chapel. Thanks go out to St. Lukes Hospice of McCall for their assistance in his care.